Looking for activities to do when visiting Saint Lucia? Winter, Summer, Spring or Fall, they have got a festivity for you. Whether you are in the mood for a little jazz, or looking to jump in the streets with the locals for carnival, this island has got what you are looking for. Here are some of the Saint Lucia festivals you can look forward to while visiting this paradise island. The Saint Lucia jazz festival takes place from May 12th to May 14. Look forward to seeing musicians from all over the globe come to perform. This year ,2017, there was a mixture of steel pan music from Victor Provost from the US Virgin Islands, Bluemango from Saint Lucia with some temporary jazz, Vanessa Williams , who brought a little hip hop to the scene and many , many more . Saint Lucia jazz festival usually takes place at Pigeon Island National Landmark, however , free performances are set around the island , to give the locals a chance to come out and enjoy some great music , and gives the tourist a chance to visit parts of the island that they have not visited . 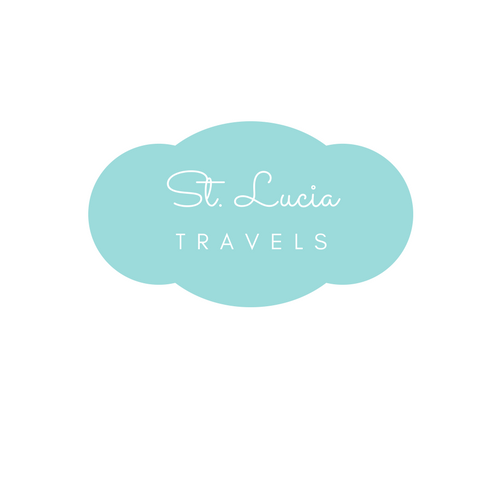 If you want to know more about this Saint Lucia festival, check out the website. The Root and Soul Festival takes place from June 17th to June 18th. This Saint Lucia festival showcases musician from Saint Lucia and the Caribbean alike. It is a mixture of Conscious music, Hip Hop, Reggae, Afro Punk and R&B . Artist this year included Etana and Chris Martin from Jamaica, with some reggae soul ,Chrycee song writer/ singer from Saint Lucia , Musiq Soul child , with a little hip hop soul and many more artist . Just like the Saint Lucia jazz festival, the are free performance around the island , but the main performances are held at Pigeon Island National Landmark. The Saint Lucia Carnival takes place from July 14th to July 18th, where revealers dance in the streets, under the warm Caribbean sun in their multicolored costumes. Saint Lucia Carnival is the largest festival of the year, with over 5000 costume revealers, 30000 spectators, and over 60000 television viewers. Saint Lucian Carnival honors the island’s African and Catholic heritage. Once held in February, but was moved to July, so that it would not coincide with Trinidad’s Carnival. Revealers come together to dance to the sweet sound of steel pan, and the intense beat of the soca music . So if you are looking for a good time, to just enjoy with the locals, drink some rum whiles dancing freely in the streets , then I encourage you to choose you band for your visit to this paradise island. Photo credit: Saint Lucia Carnival. The Saint Lucia Food and Rum Festival takes place from August 24 to August 27th usually held at Pigeon Island National Park. This culinary event brings together, chefs, wine connoisseurs, and foodies from all around the Caribbean and around the world. Inspired by chef Nina Compton and Doran Payne, this events people a chance to promote and experience a variety of cuisines from different restaurants on the island , get to indulge in some of the island’s local rum and enjoy some music from the Caribbean and around the globe. So if you are looking for some good food, rum and wine tasting and great music while vacationing in Saint Lucia , be sure to check out this event. Jounen Kweyol is on the last Sunday of October every year. It is a time where the local people come together to celebrate their heritage of the French African dialect. Various towns host different activities where you get a chance to taste local food and drinks such as the island’s national dish, green fig and saltfish , made with green bananas and salted fish . The are a number of different dishes one can try one that day, like tasting some bouillon (soup) in a calabash bowl , or trying some of the local drinks , like guava , mango , passion fruit and so much more. The locals celebrate this day by wearing the national wear called the madras made from a special plaid. There are so many things you can learn about the island on that day , so if you are interested in expanding your knowledge of this beautiful volcanic island , Jounen Creole is the place to be. These are the top 5 Saint Lucia Festival that must be visited when in the Island. What’s your favourite festival? Funny , Thats my favourite festival as well.